See the iconic Suria KLCC turn into a whimsical Christmas wonderland with a wide selection of Christmas decorations. Head over to Suria KLCC this Christmas season, bringing a touch of magic and shine to the floral town decorated with ribbons of colorful lights and snowing Christmas tree, festooned with garlands of crystal inspired ornaments. What impress me the most is the beautiful nutcrackers army that guards the whimsical Christmas wonderland. Like an angel guardian during Christmas. 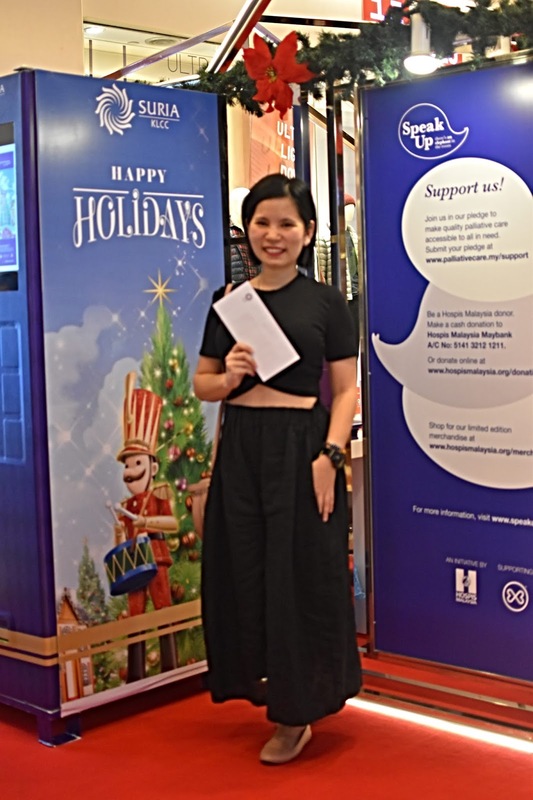 During the launching, Andrew Brien, Suria KLCC's Chief Executive Officer and Executive Director mentions," Christmas is one of the most anticipated seasons for Suria KLCC when we bring the magic that comes with the celebration. 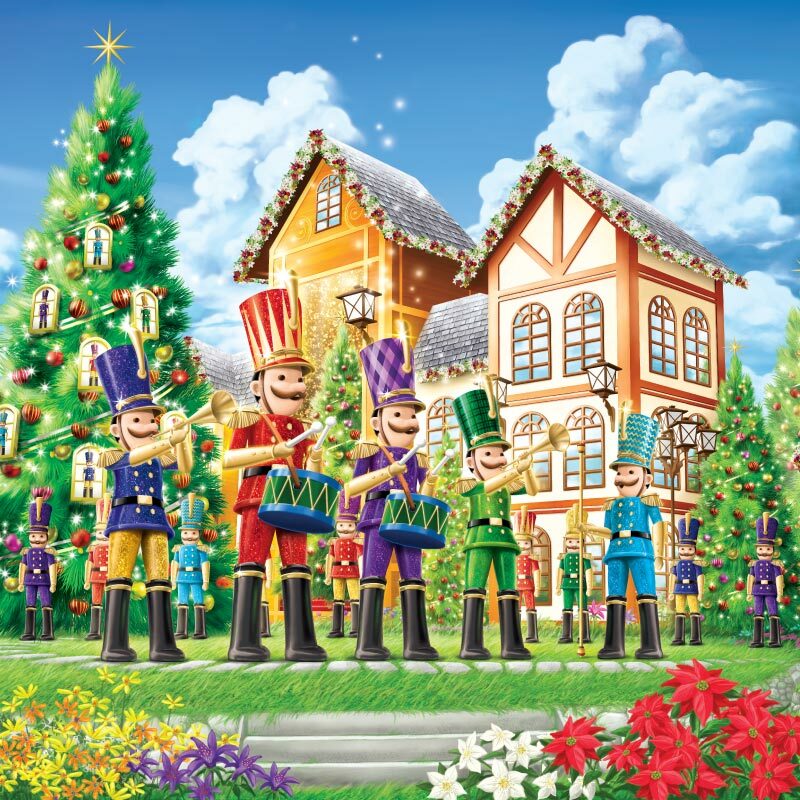 This year, our magical Christmas town is guarded by the colorful Nutcracker army that will make the young smile and bring back the memories of Christmas celebration during your childhood days. It ignites happiness and excitement of this festivity." Present at the launching were Director of package Development Division, Ministry of Tourism Tuan Syed Yahya Syed Othman and Head of Shopping Mall Secretariat of Ministry of Tourism Malaysia, Puan Norliza Md Zain. This is the time to go shopping and snappin' as Suria KlCC will bring a smile on your face. While enjoying the whimsical Christmas wonderland, you can bask in the warmth of Christmas as Suria KLCC has plenty of exciting line-up of events that you wouldn’t want to miss! Be it with your families, and no one will be left out! So prepare to snap insta-worthy photos! 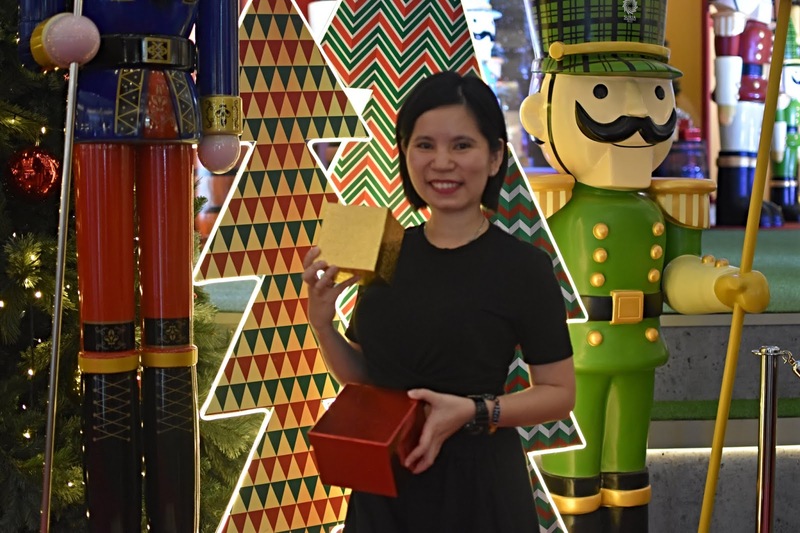 Don't miss the insta-worthy spots in a Whimsical Christmas at Suria KLCC. Record breaking 100ft tallest Christmas Tree at the Esplanade accompanied with 2 giant Nutcrackers certified by the Malaysia Book of Records! Shoppers and visitors get to enjoy the whimsical Christmas wonderland until 2 January 2018. The first 30 Citibank Visa Card holders that spend a minimum of RM1,000 in a single receipt daily will be receive a mystery gift and Suria KLCC parking ticket worth RM10. Citibank Visa Card holders that spend RM3,000 and above in maximum 2 receipts at any specified stores will receive L'Occitane gift set. The gift set only limited to 60 shoppers on Friday, 40 shoppers as per Saturday and Sunday. Non Citibank Customers will receive a mystery gift when they spend RM1,000 and above in a single receipt. Suria KLCC also giving out L'Occitane gift set to 30 customers that spend RM3,500 and above in a single receipt on weekends. And Suria KLCC will pick 5 lucky winners to win jewellery from De Beers when customers spend RM3,500 and above on Friday, Saturday and Sunday. The contest is open to both Citibank Visa cardholders and non Citibank customers. Look out for the Secret Santa during this Christmas season at Suria KLCC as he will entertain you with mystery gift to lucky shoppers. The campaign ends on 25th December 2018. Don't forget to take more photos and videos while enjoying the festive performances of the Nutcracker Ballet, Marching Band melodies & joyful Caroling. While children get to meet their favorite Santa at meet and greet. Check out Suria KLCC website: http://bit.ly/WhimsicalChristmasPerformances for the schedule. During this wonderful Christmas, let's extend our joy to all. This year Suria KLCC continues to collaborate with Hospis Malaysia in " Speak Up - There's and Elephant in the Room" campaign to create awareness to the public towards palliative care program. Pallative care is a specialized program for people with life-limiting illness and it focuses on improving the quality of life for both patient and their family members. Shoppers can contribute RM15 to the campaign and in return they will receive a token of appreciation from Suria KLCC. Shoppers also can contribute RM15 for their children's participation in face and arm painting activity. 100% of the donation / payment will be donated to Hopsis Malaysia. The "Speak Up- There's an Elephant in the Room" campaign was launched in October with "Cik Gajah", with life sized baby elephant sculptures, as its mascot. There are 10 "Cik Gajah" sculptures were created for the campaign and each has been adopted by conglomerates including Suria KLCC. The 10 "Cik Gajah" are displayed at 3 strategic location in Suria KLCC until April 2019.